A super busy week for me with a lot going on in the old 9 to 5 job and being sick has not helped but as they say the show must go on. 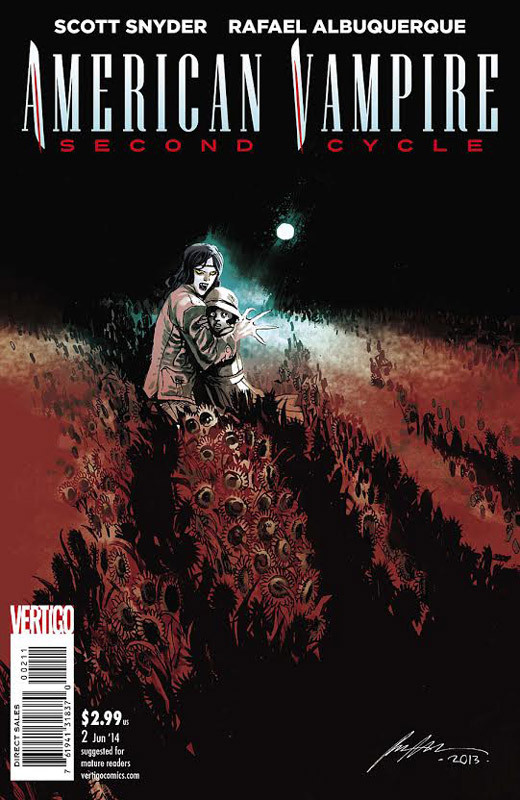 The first issue of the second cycle of American Vampire got off to a good start so let’s see how the second issue fairs. The plot from Vertigo is, Pearl has made The Preston House a place of peace. But when something comes to threaten that peace, she’ll do anything to protect her young strays. Snyder is really hitting his stride on the second issue. I love how he is pacing the story but still keeping a lot of the mysteries under wraps. But I will say that the end of the second issue is quite a shocker and blows the doors off of this book. 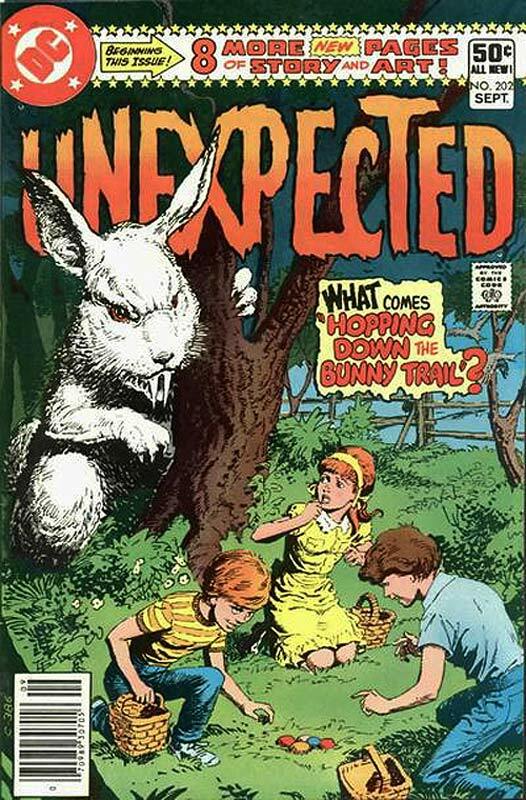 Albuquerque art adds so much depth and mood to the story that you rarely see in comics these days. He really reminds me of artist that did House of Mystery and House of Secrets in the 1970’s where art was the key to a horror book. His use of pencil shading is a sadly missed technique that very few artist today know how to do and Albuquerque is a master at it. Colorist McCaig does a wonderful job of complementing Albuquerque’s art with just the right amount of color that in lesser hands would ruin the book. Is this book worth your time and money? I find it interesting that Snyder writing on the current Batman book has left me flat but his work here is much better than that. It’s seems that when writers are doing their own creations they seem to turn out better than the corporate stuff that they do. 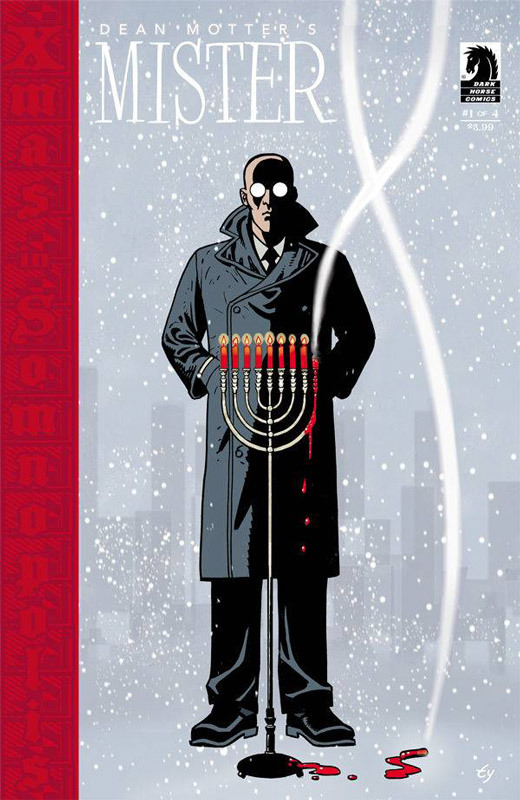 American Vampire has been a solid book from day one but I have to say that this second cycle is even better. Great story and fantastic artwork make this book a steal for $2.99. Highly Recommended! It’s been a while for an original prestige format book that was an original work. Image has come to the formats rescue with Genesis. 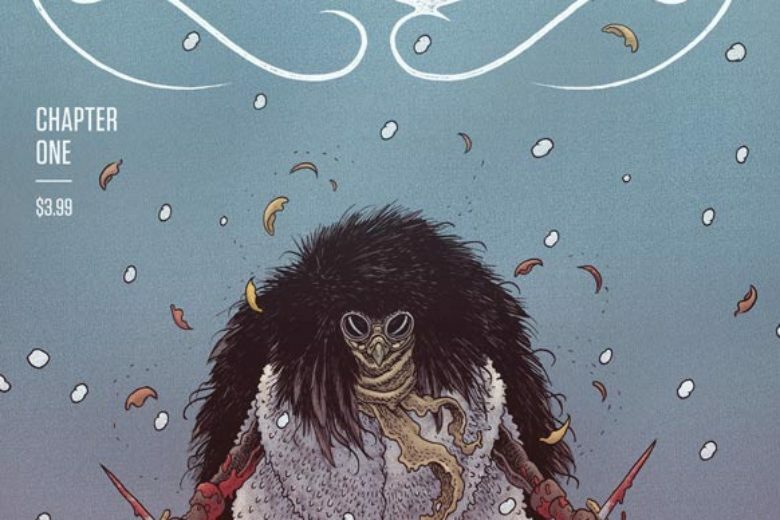 The Plot from Image is, A trippy journey of creation and destruction as one man finds himself with the ability to manifest anything by thinking it—only to learn that with seemingly unlimited power comes unstoppable terror. Edmondson who has been writing Black Widow over at Marvel and also wrote Who Killed Jake Ellis for Image tells a very different type of story that you rarely see in mainstream comics today. The story is more of a feeling than a real narrative story. It’s not that you wont understand it but, it’s the type of story that washes over you. It’s a play on what if you had unlimited power of will but there in lies the problems that will arise. Sampson’s art is perfect for the tone of the story. On the surface it might seem minimalistic but is very detailed once you really study it. This is a book that you must take your time to read. A lot of what makes it work is the subtle story and art elements that seep into you when you read it. Is this book worth your time and money? This is not a book for a casual reader. I would say that if you are a person that reads books from Top Shelf or Fantagraphics then you are on the lookout for this type of book. If you are a more mainstream reader but are open to different experiences then you might want to give the book a try. You may be asking some questions about the book after you are finished but that is the point of the book. I can officially say that I believe that Marvel Comics has published their first “Vertigo” type book with Ms. Marvel. 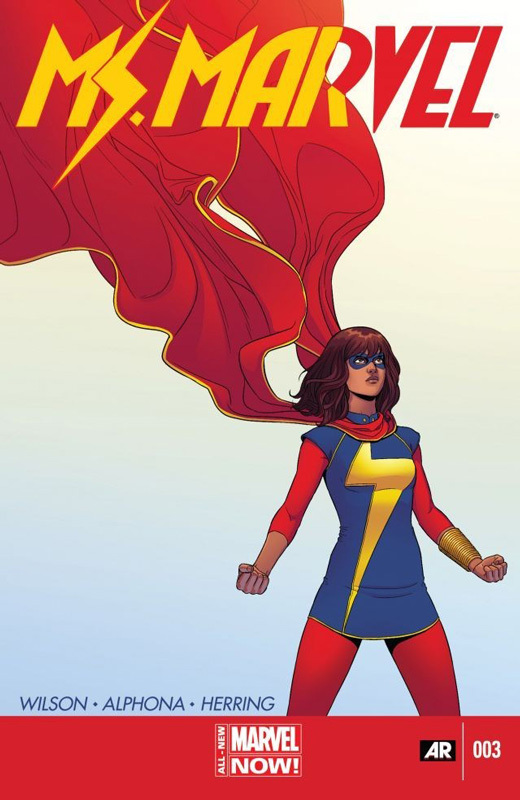 The plot from Marvel is,The All-New Ms. Marvel has already gained international fame. But in Kamala’s case, star-power comes with a whole lot of… awkwardness. 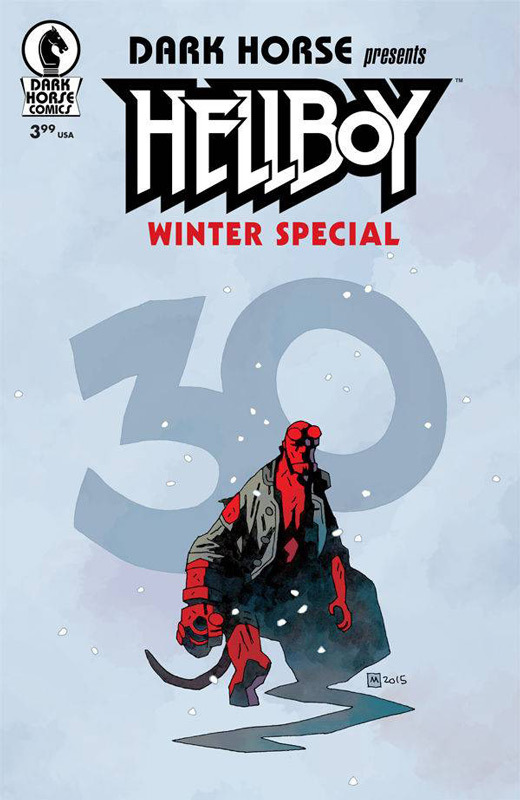 Wilson has done what very few books do at Marvel today put story before just another superhero book. The thing that is making this book such a great read is the character development that Wilson is doing for the book. In the first three issues we have barely seen Ms. Marvel and that is not a bad thing. We are getting to know Kamala Khan and that is why I love this book. If you don’t know or care about the person behind the mask then what is point of it all. Wilson is giving all of that and more so that when strange things are happening to Khan then we are able to relate to them so much better. Alphona’s art continues to bring this story to life. The details that he brings to every panel of this book just blows me away. 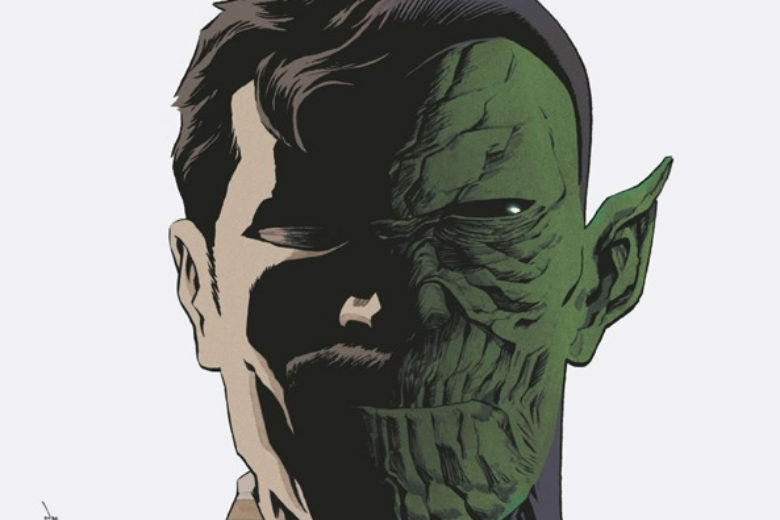 He is able to capture every little facial emotion with such ease that brings a real freshness that you rarely see in a mainstream superhero book. Is this book worth your time and money? I have to say that this book is a true must read every month and that is a big thing for me and a Marvel book. The thing that I love about this book is that it’s characters are so grounded in such a believable story and that is why it works so well. It is doing everything right unlike some of the other Marvel Now! books like Captain Marvel is doing. This book is proving that you can have a superhero book that has a story and just not the same old rehashed ideas. They can be fresh and different. Very Recommended! 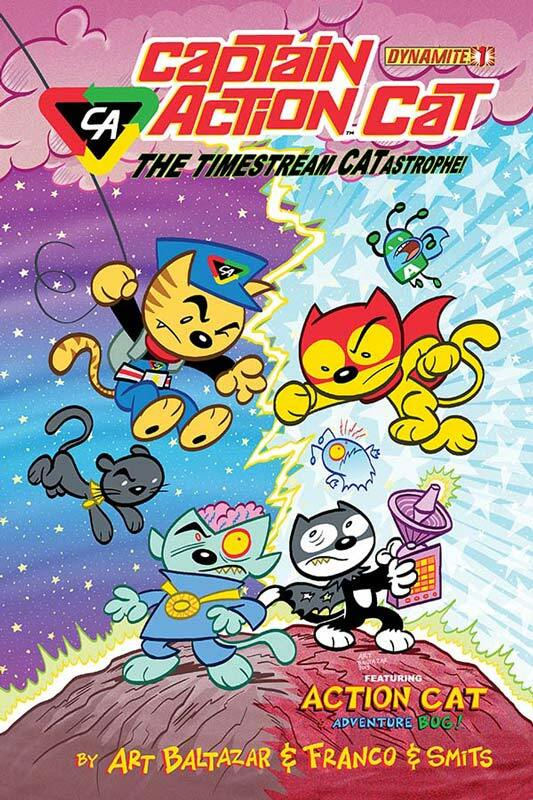 Baltazar and Franco are back with another fun-filled all ages book that is mixing their own characters Action Cat with Captain Action. 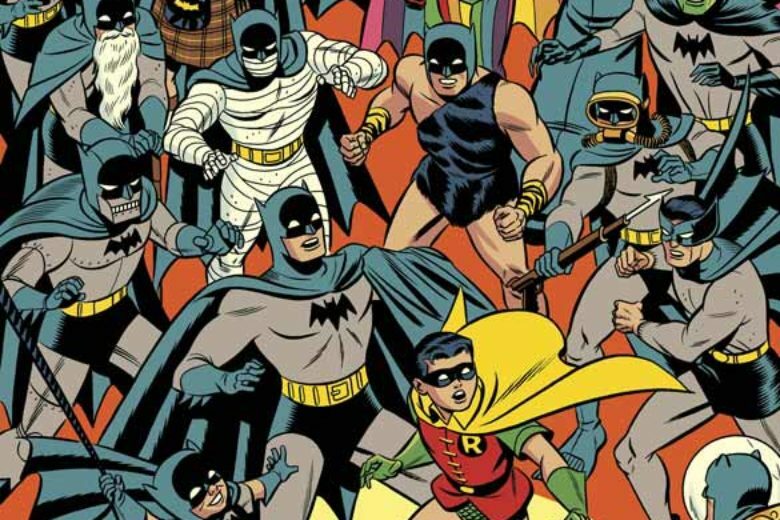 The plot from Dynamite is,The crossover EPIC event of a lifetime! Finally, CAPTAIN ACTION CAT meets ACTION CAT and the characters from AW YEAH COMICS! There is something EVIL out there and EVIL CAT is determined to find it! Even if it means searching throughout the SILVER AGE to do it! Could this blip on the screen be the one known as DOCTOR EVIL CAT?! We bet it is! What will happen when the SILVER AGE and the AW YEAH AGE collide! What does this mean to the time-stream? The fate of the comic world may change forever! PLUS, a mysterious frozen souvenir from the GOLDEN AGE makes a visit! CAPTAIN ACTION CAT is based on the classic Action-Figure Adventure-toy. Lets be honest here, you are not buying this book as a life changing read. You are buying this book to have fun and it delivers on that 100% and more. I will give the story has a bit more than their other books have had lately. 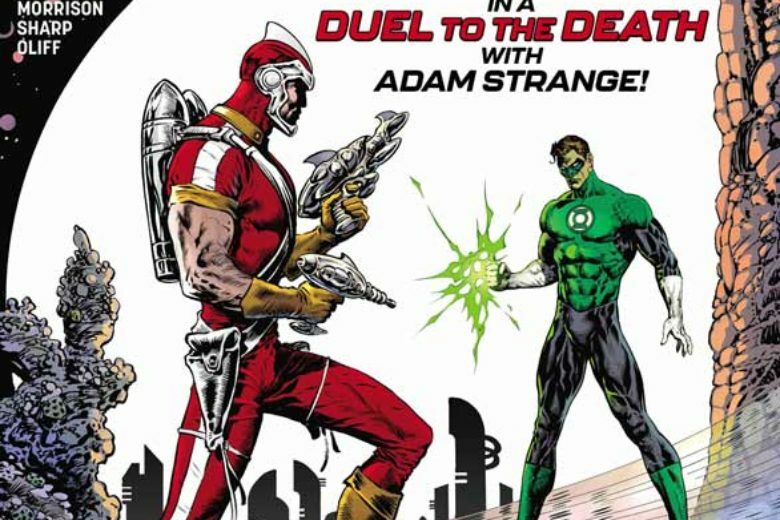 It might have to do with this being a crossover book and has a pretty good set up to the four issue series. Baltazar’s art and color really pop out at you and is very satisfying and is having a real blast with this book. 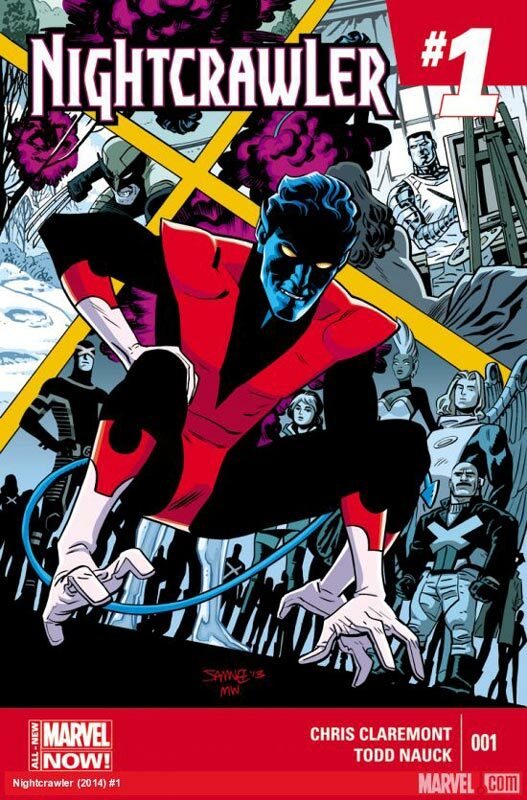 The other thing that is going to be fun about this book is that some of the Dark Horse heroes such as X and Ghost are going to be joining the fun in the next issues. Is this book worth your time and money? If you are looking for a fun all ages book then you are in luck with this one. I was surprised that the story was a lot better than I thought it would be. If you are a fan of Baltazar and Franco’s other books then you probably have already bought this book. If you are not familiar with them then you might want to pick this book up. It’s a blast and a nice chance of pace compared to most books out there. 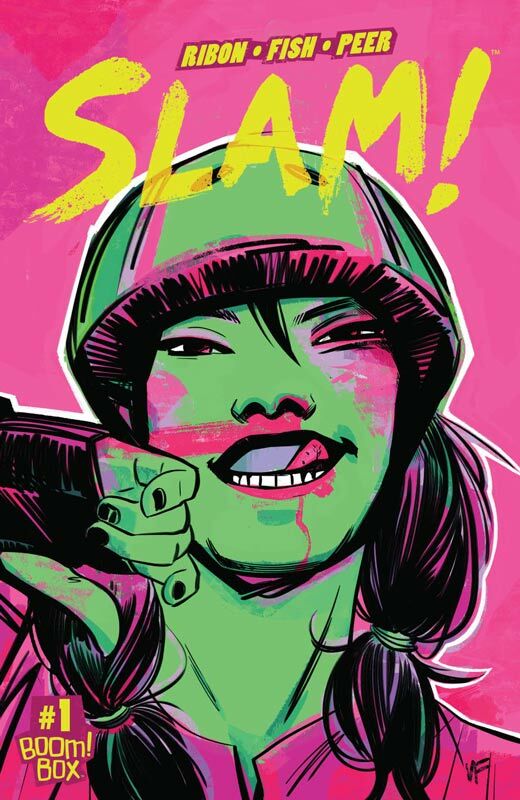 Boom Comics has trying to have more original books and another one hit the shelves this week. The plot from Boom is,he Horse has been the arch-enemy of The Navigator for years. But The Horse feels The Navigator’s moral compass slipping, and even a villain can’t let that happen. The Horse decides to get a closer look into The Navigator’s past that he’s buried deep in his subconscious and find out what drives a person to make the right choice, and what propels someone to make a selfish one. Thus begins an exploration of why a young man would take the mantle of a superhero. The story by Sanchez and Echert didn’t blow me away but I have to admit that there was certain intrigue at the end of the first issue. I did have a feeling while reading it that it was a bit too familiar but I could not place where I had maybe read this story before. I will give it that the cliffhanger ending was not too surprising but still pretty decent. The art by Bayless was pretty good overall. There were too many time where there was a lack of backgrounds and a few stiff parts. Is this book worth your time and money? The first issue was an OK read but had a decent ending that I will at least check out the second issue. I just couldn’t shake the feeling of that I have read this story before. 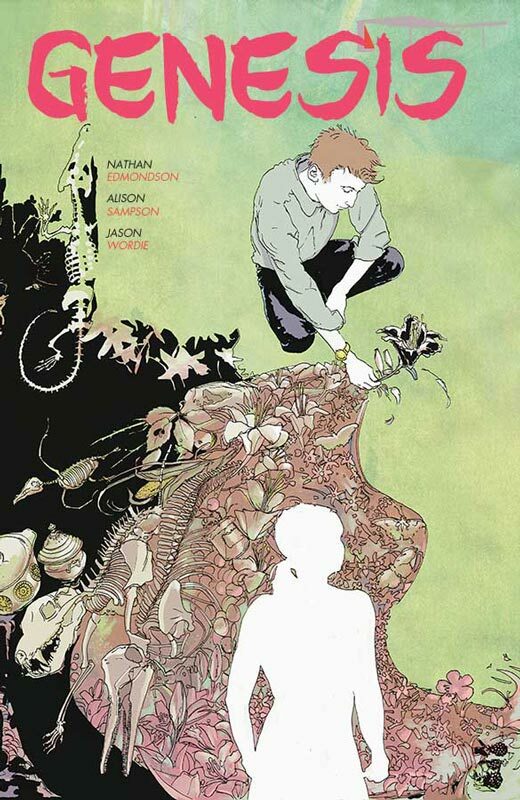 Overall it’s a little above average but could turn into something better in the second issue. We shall see if that happens. Another stab at the Hulk, this time it’s writer Mark Waid that is trying again from his previous run on Indestructible Hulk. The plot from Marvel is,Following the shocking events of last month’s INDESTRUCTIBLE HULK finale, Bruce Banner lies at death’s door! If he survives, it WON’T be as the Bruce Banner we’ve known! 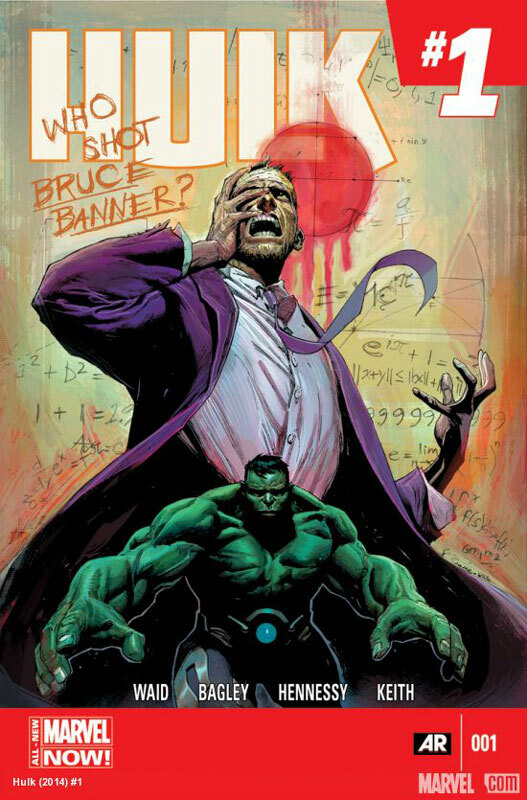 How will the Hulk wreak vengeance on Banner’s assailant? How CAN he? Let me first start by saying that any incarnation of the Hulk for me has to be held to the stunning 12 year run that Peter David did on the character back in the 1980’s. If you are going to do the Hulk you have to do something truly different. I will give Waid that this first issue is off to a pretty good start. I had not read the previous book so I was coming in fresh to this issue. The good news is that Waid gives you enough information to get you going on the story. The issue has a great cliffhanger and I am excited to see where he is going to take the book. Bagley & Hennessy’s art is good. I have never been a huge fan of Bagley’s art but he give the book a solid if unspectacular look. He is one of those good middle of the road artist. Neither good nor bad but gets the job done. Is this book worth your time and money? The first issue was pretty solid story and I am interested to see where Waid is going to take it considering the events at the end of the issue. 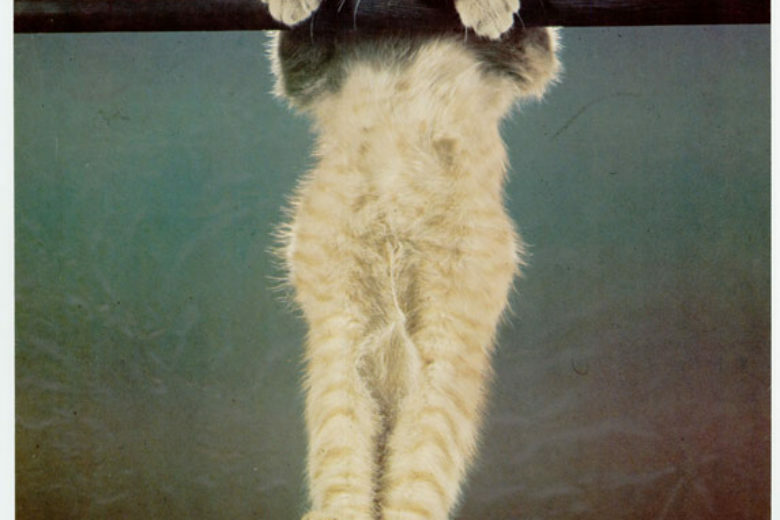 The key to this book is the longterm story plan of the book and that is where this book will sink or swim. I do hope that the book does turn out to be a winner. Only time will tell. 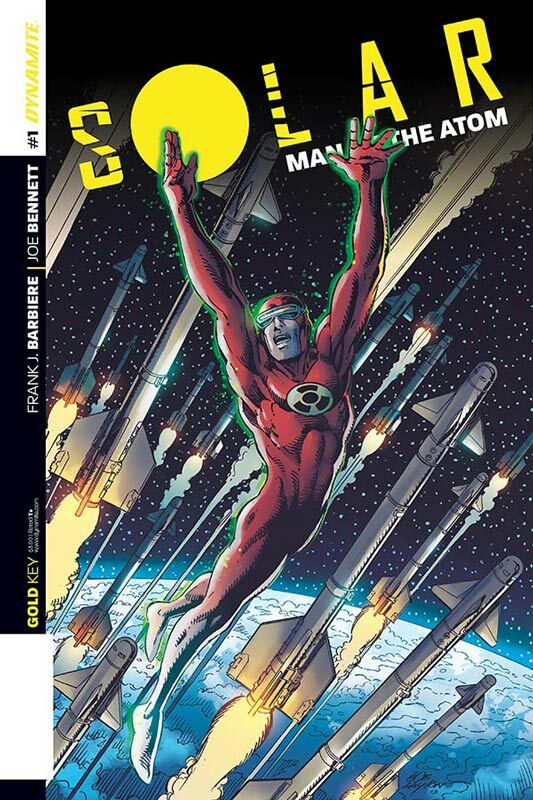 So far with me the Dynamite relaunch of the Gold Key superheroes has been more a miss than a hit. So how does Solar land? 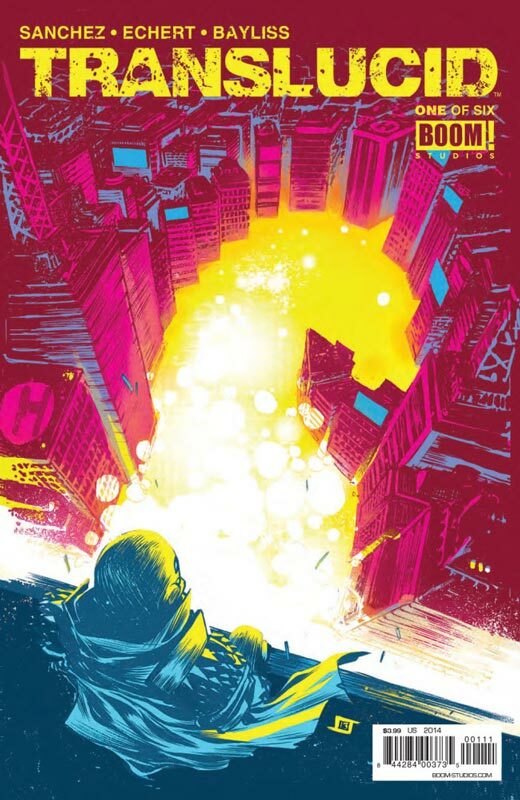 The plot from Dynamite is,Flooded with experimental radiation that grants him unbelievable powers, the brilliant-and-obsessive Dr. Phil Seleski seeks to unlock the secrets of the universe, begrudgingly becoming a “hero” along the way. But can a single man be trusted with near-limitless abilities? What will this mean to the ones he loves? And will his choices lead to utter chaos and destruction? Barbiere has been writing the excellent Five Ghost over at Image and I must say that Solar gets off to a good start. 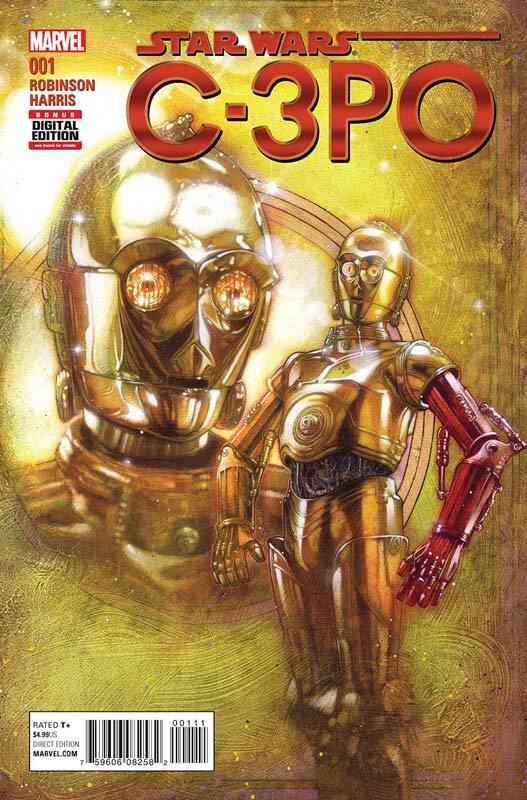 The first issue does suffer a bit from the set up origin type story but Barbiere handles it pretty well considering that there is a fare amount of exposition to get through. He ends the issue with a nice cliffhanger that has me intrigued for the second issue. Bennett’s art is good with a lot of close up shots that he pulls off well. I did like the way that he laid out the story and had a nice visual flow to it. Is this book worth your time and money? It’s by far the best of the Gold Key hero books so far but the real test is where the story will go. Barbiere has a good set up to the next issue, I just hope that he has a solid plan on where the story is heading. The second issue could be a make or break for it. I will give the book a buy recommendation for a first issue.